Having outgrown its first building at 10th & Seneca, St. Paul Lutheran Church elected to relocate closer to its congregants and purchased two lots on the southeast corner of 14th & Lafayette on which a new building was built in 1900. 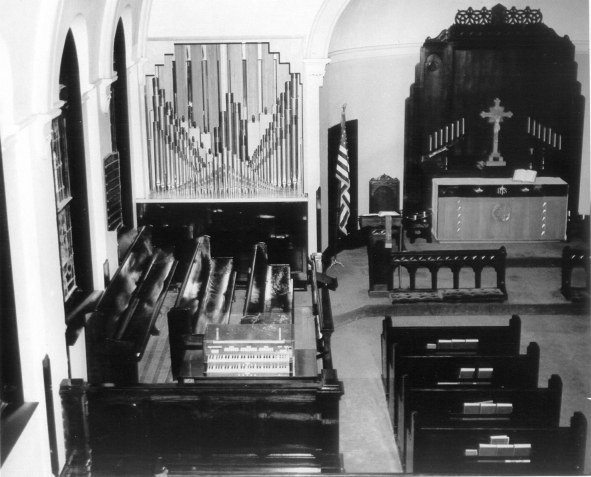 The original Kilgen pipe organ was installed in the balcony. According to church records, at some point, a $900 fire insurance settlement was used to enlarge the organ. This may have been when the organ was relocated to the left side of the chancel in 1929, as Kilgen Opus 4377 containing 8 ranks across two manuals and a 27-note pedalboard. This organ was taken in trade as part of the contract for a 14 rank Wicks pipe organ (Opus 3351), installed in 1955 in conjunction with the 75th anniversary of the church. The specification was designed by Prof. Paul Rosel, Head of the Music Department at Concordia Teachers College in Seward, Nebraska, which is affiliated with the Lutheran Church, Missouri Synod. He also played the dedicatory recital on March 11, 1956. The installation featured an exposed Great division, a style gaining popularity at the time. 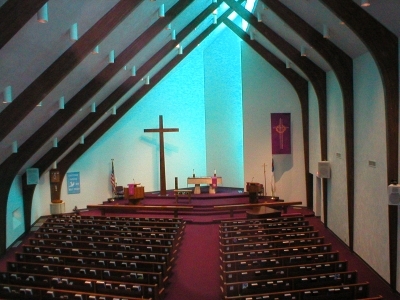 In 1968, the congregation built a new building at 4715 Frederick Boulevard, where the organ was re-installed behind a screen in the gallery choir loft. In 1989, the Wicks Organ Co. added a new 8’ Principal to the Great division, increasing the total ranks to 15. Original Wicks organ installation in St. Paul Lutheran Church, 14th & Lafayette, March 1956. The exposed pipes of the Great and Pedal divisions are now located behind a screened wall in the present building. The vertical louvers behind the pipework are called "swell shades" and open and close to control the volume of the Swell division.